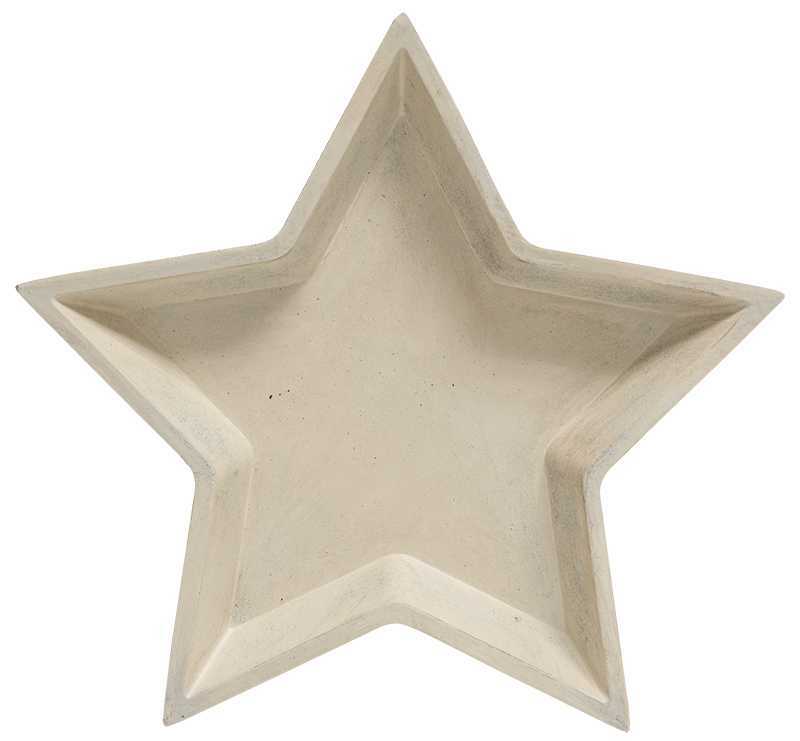 Minimum quantity for "Nesting Stars - Farmhouse Colors, Set of 2" is 3. 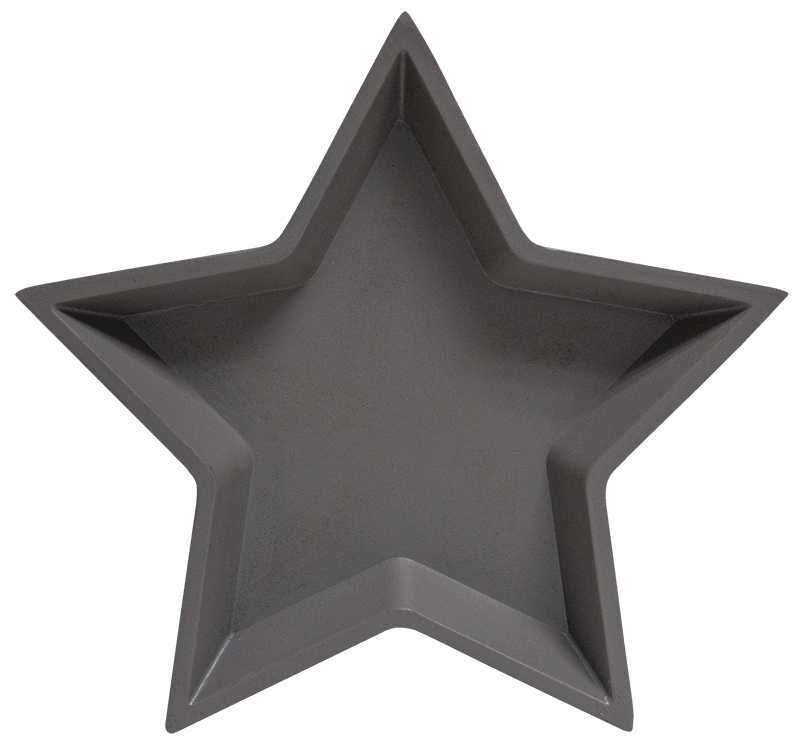 This is a set of 2 wooden star trays that have been updated with our new Stoneware colors: Pewter (charcoal gray), Stoneware (gray/beige), Soft White (ivory). 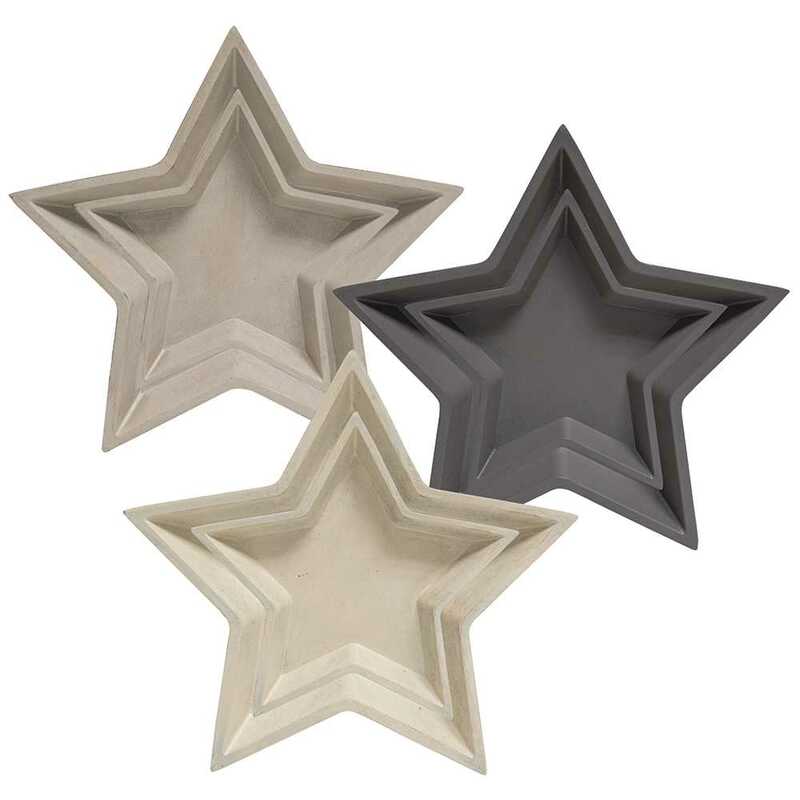 Each set of 2 stars comes in an assortment of our new colors. 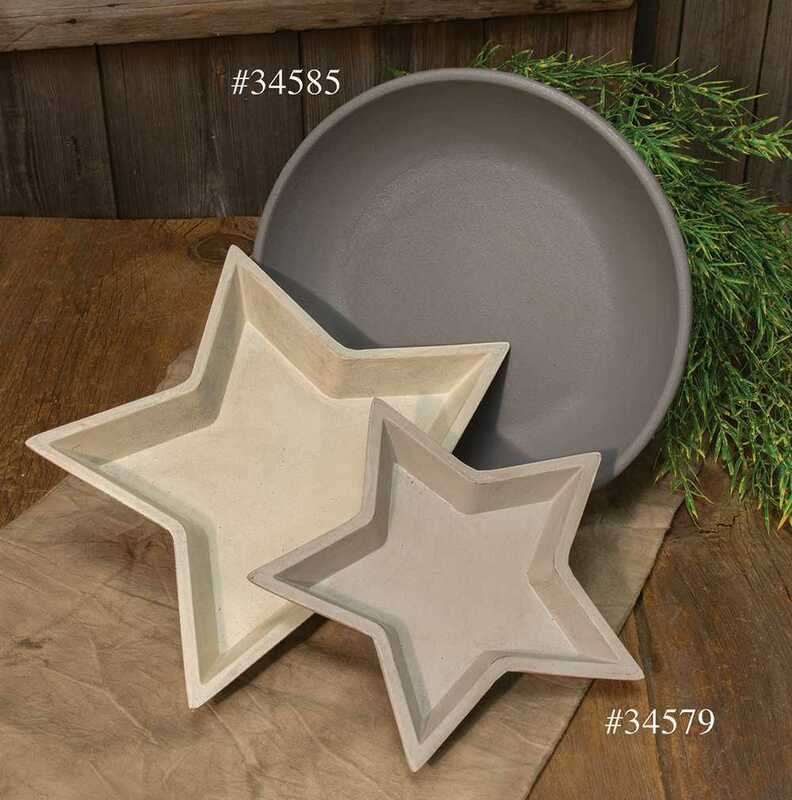 The minimum purchase is 3, so that will be 3 sets of two stars in an assortment of the three new colors, Pewter, Stoneware and Soft White. 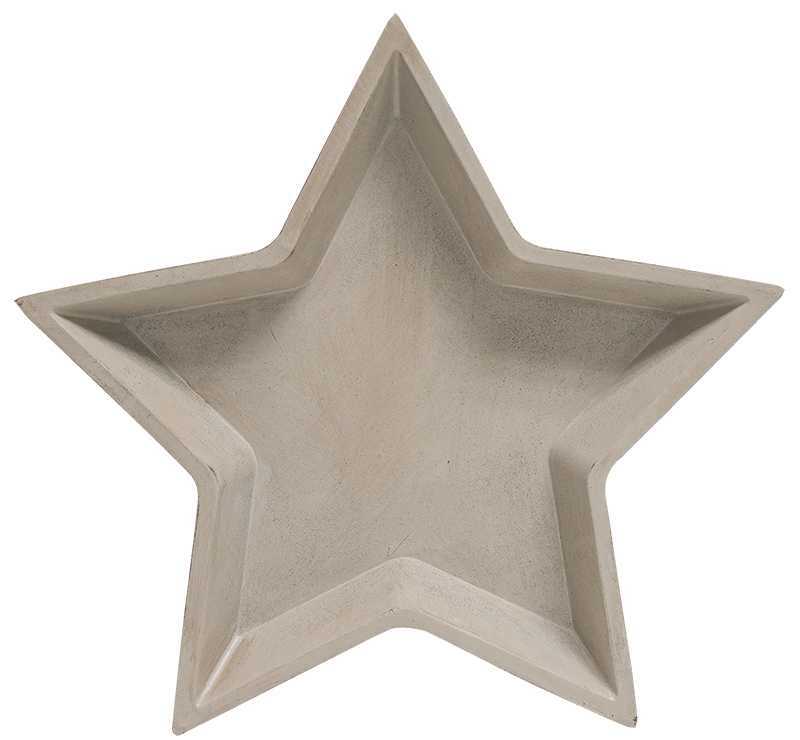 This item is similar to item #32457 Nesting Stars, except the colors have been updated. Item #32457 is still available in the original colors. Large star measures 12" in diameter. Small star measures 9" in diameter. NOTE: For decorative use only. Do not use with food.